Renamer is a powerful, feature-rich batch-file renamer that makes renaming many files quick and easy. If you ever had to rename hundreds or thousands of files file by hand and thought “there must be an easier way”, then Renamer is for you. 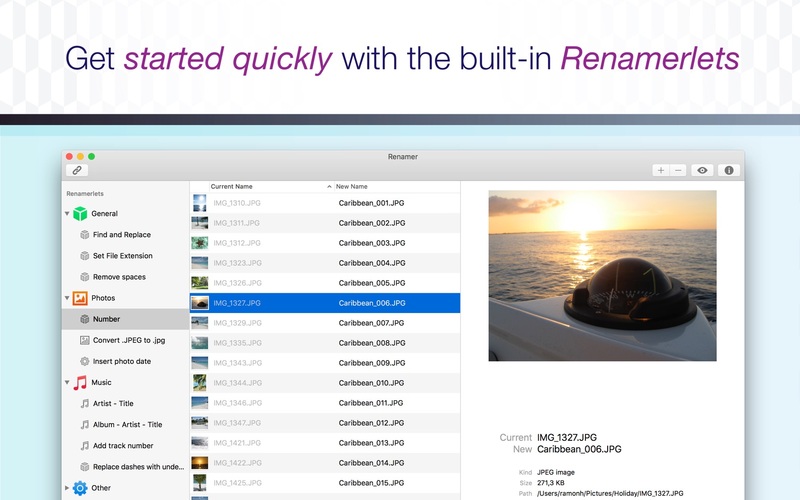 With Renamer, you can save hours of tedious typing at the stroke of a button. Next story Magnet Pro 2.4 – Snap windows into various sizes and positions. Previous story Icons8 5.6.7 – Free searchable icon app. Unclutter 2.1.16d – Store notes, files, and pasteboard clips on the Desktop.